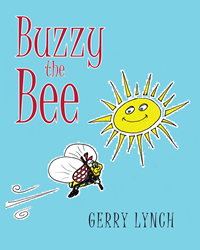 Recent release “Buzzy the Bee” from Page Publishing author Gerry Lynch is a delightful work about Buzzy, a special bee who has experienced the unkind treatment of the other kids in the insect world, so he sets off to an adventure in search for happiness. Gerry Lynch, a mother, grandmother and great-grandmother who started a cheerleading team of fellow retirees, (now the captain of a 130-member squad that performs at numerous events throughout Florida), has completed her new book “Buzzy the Bee”: a heartwarming short story of a bumblebee who encounters some struggles in the insect world but finds happiness after going out on his own high-flying adventure. Author Lynch narrates why other insects would bully him: “Buzzy was fuzzy as bees will be but he wasn’t happy as you will see. Why you ask, was he so sad? Because Buzzy was different, Yes, Buzzy was plaid!" Published by New York City-based Page Publishing, Gerry Lynch’s awe-inspiring work on a bee’s journey to happiness, teaches children to never give up in searching for what can add joy and peace to their lives. The story also paints a picture of how acts of reckless teasing and bullying inflicts pain to others. Readers who wish to experience this engaging work can purchase “Buzzy the Bee” at bookstores everywhere, or online at the Apple iTunes store, Amazon, Google Play, or Barnes and Noble. For additional information or media inquiries, contact Page Publishing at 866- 315-2708.